How the Sari Tipped the Scales, Effortlessly! Malcolm Gladwell, in his bestseller, The Tipping Point, explains the concept of epidemics beautifully and illustrates the point with Hush Puppies, the classic American brushed-suede shoes with the lightweight crepe sole. In the beginning of 1995, their sales were down to 30,000 pairs a year, mostly to backwoods outlets and small-town family stores. Wolverine, the company that makes Hush Puppies, was thinking of phasing out the shoes that made them famous. But then, suddenly, they were receiving calls from designers and stylists all over the country. It all apparently started when a bunch of high school kids sported the shoes, precisely because nobody else was wearing them, without the slightest inkling that they were setting off a huge trend. In 1996, Hush Puppies won the prize for best accessory at the Council of Fashion Designers. While receiving the award, the president of the firm famously admitted that his company had almost nothing to do with the achievement. In 2015, we are seeing a similar inadvertent explosion in the draping of the sari -- an alluring six-yard raiment (some are nine-yards). Most Indian women have a sari section in their wardrobe, which is fiercely protected, fondly remembered, but rarely reached for. Most saris would require "that special occasion" to warrant its escape from the cosy corners. That was until just a little over a month ago. Then, something wonderful happened. 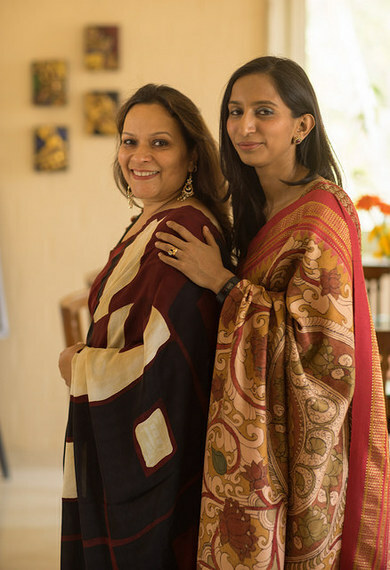 In March, two women in Bengaluru, Anju Maudgal Kadam and Ally Matthan, formed a pact between themselves and called it the #100SareePact. Lamenting over the fact, that they, like most women, have switched to the easy pair of jeans or the quick and comfortable shalwar kameez in favor of the sari, they promised to give the sari its due and wear it a hundred times this year and post updates on social media, accompanied by a little story of how the sari stirred up memories in them and what emotions it evoked. All it required was to tag each other with the hashtag #100SareePact. In just a couple of days, their friends started posting their own pictures of the sari with their stories. The next day, their friends joined in. By day five, the #100sareepact was ringing loud on Twitter and Facebook with friends of friends of friends joining the pact. The media ran stories and more women joined. Today, in just about 45 days of the pact, over 1 lakh women from all over the world are in the pact. So, what was the stickiness factor in the pact? The sari is a very special garment, and the fact that we tell stories of memories, people and emotions attached with it creates an aura around it -- and everyone relates to it because these are everyday tales. The #100SareePact has become a medium for storytelling, and I think this appeal cuts across ages, gender and culture. 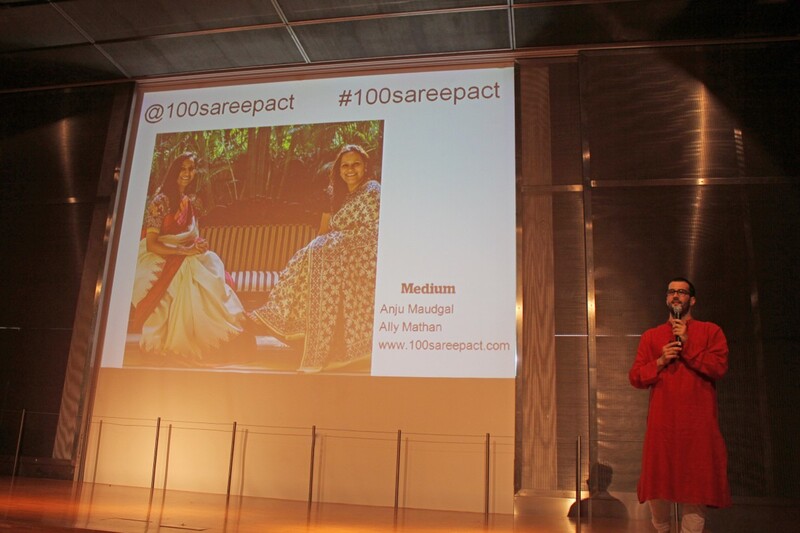 The pact has become such a rage that, this International Women's Day, a museum in Madrid chose to start its conference with a reference to the inspiration found in the #100sareepact movement. The inspiration is the many tales that have been felt and told through the sari -- a trigger to look back into our own unique lives -- and look forward to many inspiring moments. This was just eight days into the pact! Another astounding effect it has had is that we now have new-found respect for our weavers and handloom community. 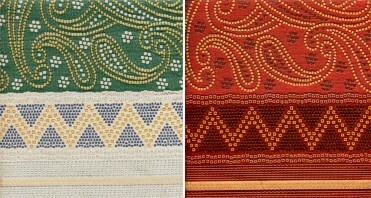 The sheer range of weaves, patterns, textiles and motifs is ming-boggling! 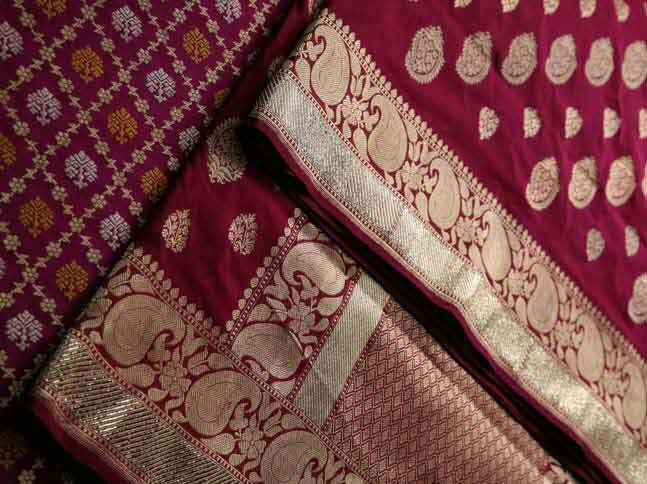 Coming from South India, I have treasured my Kancheevaram and Pochampallis, but now I keep an eye out for those Patolas, Bandhanis, Dhakai Jamdhanis,, Ikats, Kalamkaris, Banarasis -- the colors, the contrasts -- the list goes on. The spill-over of this pact might be happy women and happy weavers! And, of course, happy men seeing their women glowing in that special sari aura! When asked about the vision for the pact, Ally and Anju say that they hope to do it year after year with women from all over the world joining in. They are very happy about their new sari habit, and see no reason why the saris that tumbled out should go back into the corners of their wardrobes. In fact, to cherish this fact and grow the pact, they have started a dedicated website for the #100SareePact, where women all over the world can send them their unique sari tales. And, hence, it has been proved once again that we never forgot our saris. Our love for saris required just the ever-so-gentle nudge, and we fell in love with it all over again! 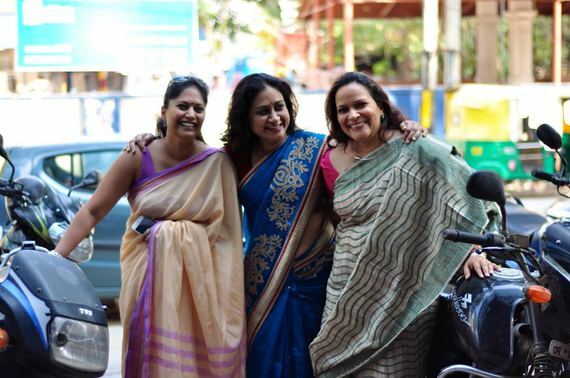 So, what's your sari story? The author writes and rants ways on www.kidskintha.com; a platform for all things to be cherished about childhood. If your child said the darndest thing, don't amuse just yourself. Share it with us and we will help you make it even more special! She is also a happy '#100Sareepact' er!